A good photographer is not someone with a good camera (although it helps a little! ), but rather someone who understands how to make a good photo. Some of the ingredients for a good photo are certainly internal – meaning choosing appropriate settings on the camera. But most are external, and this series of posts will focus on five of them – and your role as a client in helping out! Today, we are going to talk about lighting. Most photographers consider lighting the single most important element of a good photo. But when we talk about lighting, we are actually talking about two things: The amount of light, and the quality of light. The amount of light is important because it gives the photographer the most flexibility to make creative images without degrading them with digital noise. Without a suitable amount of light, photographers are often forced to only shoot images with a shallow depth of field (meaning the background will be out of focus), and avoid fast moving subjects. I won’t get into the technical reasons why this is, but just know that life will be difficult for the photographer if they have to shoot kids running around, or group photos where’s there’s different people at different distances from the camera. While an experienced photographer should have the tools and expertise to still produce good imagery in these situations; simply put, you can give the photographer the best chance of making great images if you choose a location with an abundance of light such as the outdoors or well-lit, indoor spaces. The quality of light though is even more important. A prime example is an outdoor photo taken in the middle of the day under sunny conditions, rather than a picture taken later in the evening. The photo taken in the middle of the day will have harsh, direct-sunlight which will produce hard, contrasty shadows, or a washed-out look on subject’s faces; while a photo taken later in the evening (typically called The Golden Hour) will have nicely diffused, less-direct sunlight which provides a much more beautiful and even lighting on everything. 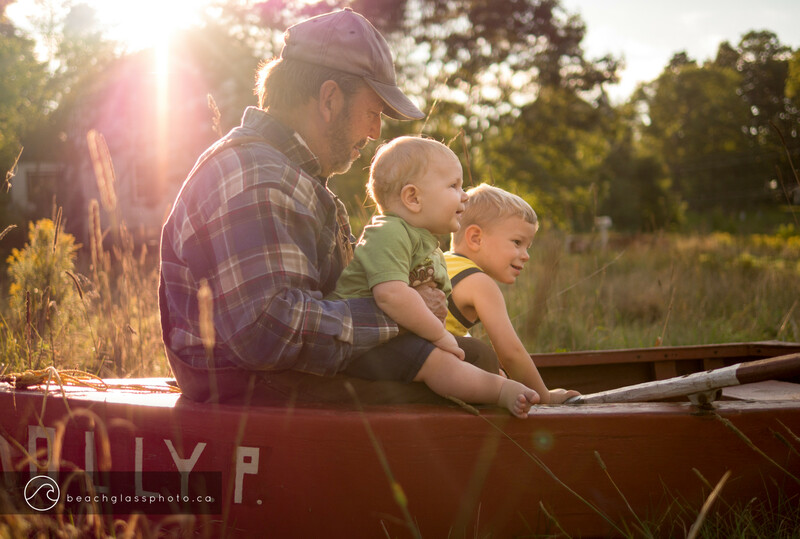 When at all possible (if you are doing an outdoor shoot), I would recommend trying to book in a session during Golden Hour times (your photographer should know when these are on a given day), but in my experience, this is often not possible due to young children who need to get to bed, scheduling, etc. So what happens when a shoot has to take place under harsh, midday Sun? Well, we compromise. An experienced photographer should still be able to create good imagery in these situations, but there are some limitations they will have to work within. The biggest compromise that might have to be made is the background or location of the shot. If you are in a park for example, it’s likely that there will be several areas of shade. Shooting in the shade will immediately give you better lighting than the direct midday Sun – but this does limit our shooting locations and background somewhat. If we are on an open beach where there is no shade though, our choices become even a little more limited. Typically in a situation where there is no escape from the midday sun, the best lighting is found by positioning subjects with the sun shining directly on the front of them (no squinting! ), or with the sun shining directly behind them. This limits us to two angles, and neither of them may have the nice ocean background you were hoping for. So what if you absolutely need that sparkling, ocean background shot you were hoping for? It’s still possible, but again – compromises. The easiest option for the photographer is to steer away from close-ups and instead make the subjects a smaller part of the frame – more of an environmental photo. The harsh sunlight will not be near as detracting on the subjects when they are smaller in the frame. The other more involved, potentially more expensive option is for the photographer to have an assistant hold something called a scrim (kind of like a large, semi-translucent umbrella) above the subjects heads to create shade on them. This can be a great option, but not every photographer has a scrim in their tool-kit, nor does every photographer work with an assistant (which will add to your cost). Your best bet is to convey your concerns to the photographer beforehand to see if he has the necessary tools, and access to an assistant – or to volunteer someone from your group to help out as an extra set of hands during the shoot. As a final note, you will find most photographers are perfectly happy to work under cloudy conditions. Why? Because even though the photos won’t have a nice sunny look, the clouds provide diffusion and nice, even lighting – so most importantly, you (and the other subjects) will look great! I hope that provides some great tips on scheduling your next photo session and picking a location and time of day. Remember, we want lots of light, and nice looking light when possible. But if that’s not the case, hopefully this post prepares you for working within some of the limitations and helps you get great looking photos!